As efforts to define and advance women’s economic empowerment gain traction in global development, evidence points to an often overlooked but essential ingredient: reproductive empowerment. A woman’s reproductive years (15-49) tend to overlap with her years of working age (15 and above). As a result, pregnancy and childbearing have deep impacts on a woman’s labor force participation and her economic outcomes, and vice versa. 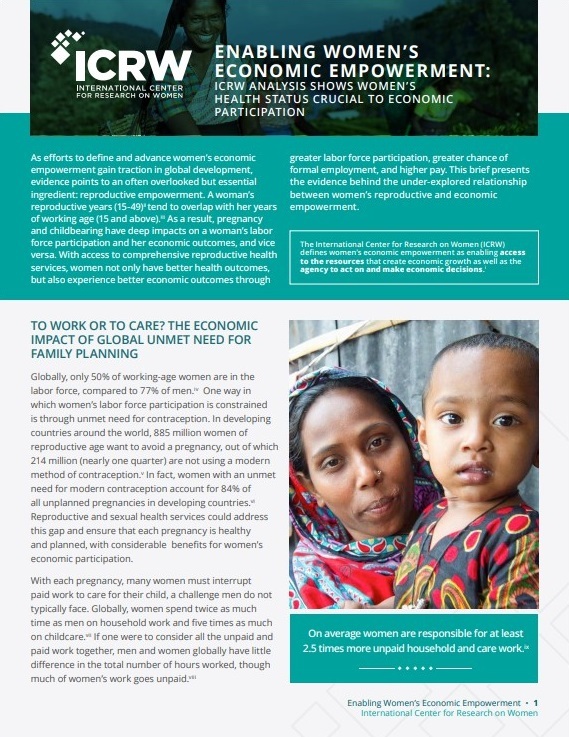 With access to comprehensive reproductive health services, women not only have better health outcomes, but also experience better economic outcomes through greater labor force participation, greater chance of formal employment, and higher pay.